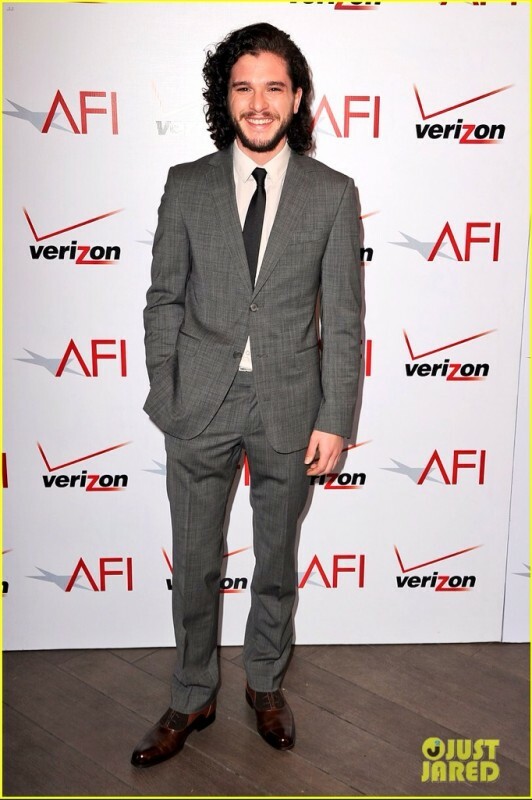 ﻿ Fluevog Shoes - Kit Harington wears The Twin Turbine 211 Carrall Street to the AFI Awards Luncheon! Kit Harington wears The Twin Turbine 211 Carrall Street to the AFI Awards Luncheon! Kit Harington, also known as Jon Snow in The Game of Thrones, arrives at the AFI Awards Luncheon in LA in the Winter 2013 211 Carrall Street in brown!